On December 5, the fifth anniversary of the beginning of the historic six-day occupation of the Republic Windows & Doors by the members of UE Local 1110, the Republic CEO who caused the sit-in was sentenced to four years in prison. 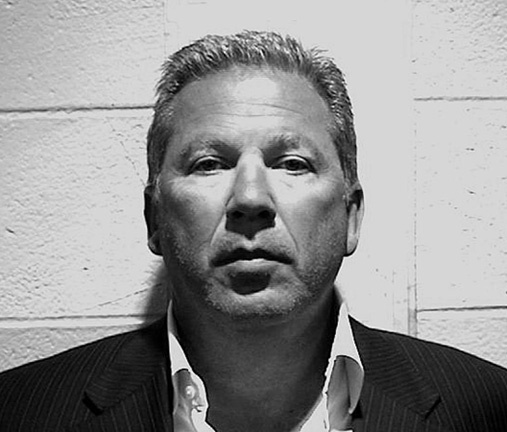 The ex-boss, Richard Gillman, pleaded guilty in Cook County court to one count of theft for stealing more than $500,000 of the company’s assets. In addition to prison time, he was fined $100,000 by Judge Domenica Stephenson. In a story that’s still unfolding, a new chapter in labor history was written by about 260 Chicago workers – members of UE Local 1110 – at Republic Windows and Doors on Friday, December 5, 2008. Only three days earlier, they had been told their plant was closing and that they would be jobless by the weekend. Richard Gillman, the former chief executive of Republic Windows and Doors, has been arrested and charged with numerous financial crimes related to last December’s plant closing, including looting the company and defrauding creditors. The abrupt plant closing provoked a successful six-day plant occupation by members of UE Local 1110. Gillman was charged with eight felony counts under Illinois law, including financial crime and conspiracy, money laundering, fraud insolvency, theft with intent to control more than $500,000, mail fraud and wire fraud. Biden Hails Republic Plant Reopening, Return to Work of UE Members Under Contract, as "A Big Deal"
UE Local 1110 President Armando Robles speaks as Vice President Biden (right) and Serious Materials CEO Kevin Surace look on. Read more about Biden Hails Republic Plant Reopening, Return to Work of UE Members Under Contract, as "A Big Deal"
Region 13 of the National Labor Relations Board (NLRB) has issued a decision agreeing with UE’s allegations that Republic Windows and Doors violated federal labor law in moving work out of the Chicago facility, where workers have been members of UE Local 1110, and closing the factory in early December. Workers responded with a five-day plant occupation that drew national attention and support for their fight and won them the pay that Republic had denied them. The sale of the former Republic Windows and Doors Company to California-based Serious Materials has been finalized with the approval of the bankruptcy court. Serious Materials also reached agreement with UE Local 1110, ensuring that all former Republic employees will be rehired at their former rate of pay, and that UE will continue to represent workers at the factory. Yet another big hurdle has been cleared in the ongoing – and amazing – story of the UE members who worked at the former Republic Windows and Doors factory in Chicago. UE's Western Region has issued a press release announcing that the sale of the plant to a new owner – Serious Materials – has been finalized and that all workers will be rehired as the plant ramps up production and continue to be represented by their local union, UE Local 1110. Chicago Press Conference: Melvin Maclin, Vicente Rangel and Armando Robles look on as a California company announces it wants to reopen the Republic Windows and Doors Plant. The bankruptcy court has to approve any sale. Over the five days of the Republic plant occupation in Chicago, messages of solidarity poured in from around the world. Individual workers, organizations, labor unions and federations sent emails and letters of solidarity.